Making frozen cubes of freshly squeeze juice makes it easy to prep smoothies &/or frappes without having to use ice. This is just some beetroot, carrot & apple frozen, ready to make into a frozen summer drink! 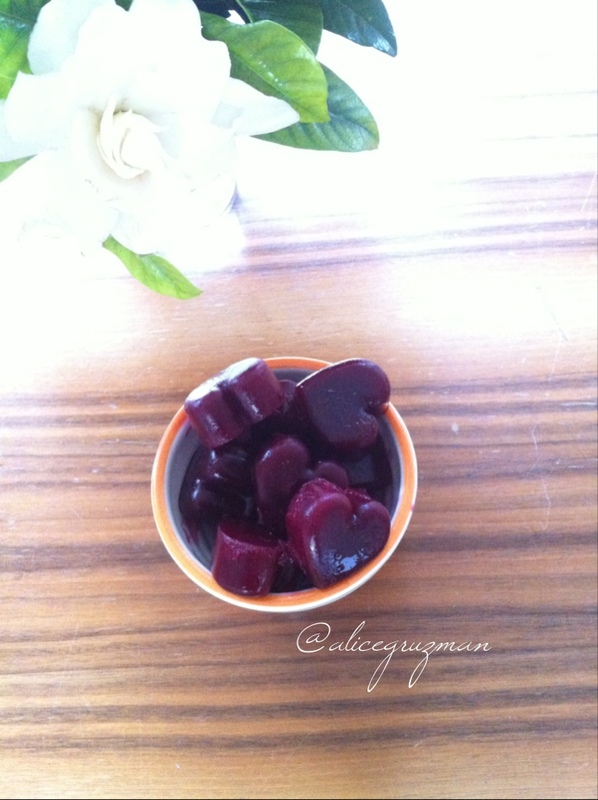 This entry was posted in Nutrition, Recipe and tagged beetroot, cleaneating, frappe, frugivore, healthyeating, heartshaped, icecubes, smoothie, vegan by 6 Clean Ingredients. Bookmark the permalink.